Lighting public parks, walkways, open carparks and streets in private subdivisions is now more affordable with the introduction of a new range of solar powered LED street lights from LZ New Zealand. LZ director, Liberio Riosa, says the new Solar Flyhorse street light is a breakthrough in lighting performance and economy, and opens up many installation opportunities where the cost of poles and cabling has previously been prohibitive. 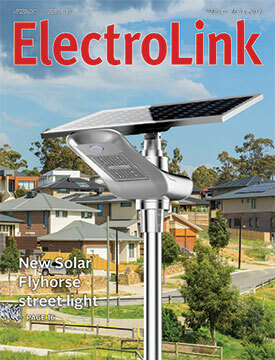 “Solar Flyhorse now offers a workable combination of light output, automation, optics, poles and price to bring lighting security to many public areas. There are three models in the range delivering 20, 30 and 40 Watt light outputs producing around 4000, 6000 and 7500 lumens respectively. LZ carries stock of the 20 watt units in 4000 K with the larger models available with six to eight week’s delivery, says Riosa. When the fire alarm went off in Kawakawa Bay on January 29, volunteer fire fighter Tony Keals didn’t hesitate to respond. The 30-year veteran swung into action only to discover that the house he and his fellow volunteers were speeding to save was his own home. A neighbour had seen smoke arising in a narrow column above the kitchen and called 111. By the time the fire crew got to the house, the fire had taken hold of the ceiling space and was too advanced to put out before it destroyed the house and everything in it. Keals’ wife and three young children were fortunately not at home at the time, but adding to the loss of the family home was the fact that the fire had occurred while the house and contents were uninsured. Keals says he is a diesel mechanic and works as an earth moving and agricultural contractor from his home in Kawakawa Bay near Auckland, and the house was insured as part of his farm insurance policy. However, his insurance company wanted Keals to rewire the 1920s house before renewing the cover. “When I was going over the policy with the insurance company prior to renewal, they advised me that if they found old wiring in the place then it might not be covered, says Keals. As a fireman, Keals says he is well aware of electrical risks and always switches everything off. n February 13 the Government released wide-ranging proposals that will radically change the way trade training is delivered. ITOs will become marginalised and lose their roles in arranging training. Master Electricians believes the proposed reforms are a backward step. Chairman Ross Beal comments. The Government through Minister Chris Hipkins has recently announced a substantial reform of vocational education training in New Zealand. The rationale for such a major reform that impacts industry training organisations (ITOs) and polytechnics (ITPs) appears to be light on detail, and it is a struggle to fully understand the mischief that the Government is trying to repair. From an employer perspective I cannot help but agree with the statements from the reform document that states that employers need to have confidence that employees have the skills to successfully contribute to the economy, and part of this is enabling better connections between business, employers, industries, local communities and the education sector. The irony for me is that disestablishing the current roles of ITOs does not appear to be the way to achieve this. The electrical Industry has been blessed with an ITO (The Skills Organisation) that, for a couple of decades, has delivered qualification and training outcomes for our industry sector that have been absolutely aligned to the needs of the industry. As the Pike River Recovery Agency inches closer to entering the abandoned Pike River mine drift, it remains unclear as to the standards that are being followed to manage safety risks. 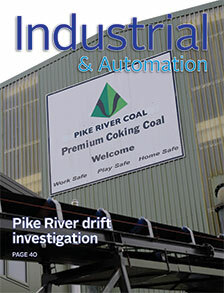 The New Zealand government has nominally partnered in the development of many mining, electrical and hazardous area joint standards with Australia over the years, but when it comes to applying them to gaseous coal mines in New Zealand, the government’s performance has been poor, says electrical inspector Garry House. House is the only Kiwi active on the committees that develop these mining standards and has been for many years. He says these standards tap into the best expertise in the world, and standards that address working safely in explosive atmospheres are even more relevant to rescues and coal mine recoveries because the mining standards themselves do not permit work to be carried out in explosive atmospheres. House says he wrote the AOP procedures for hot-entry work into a joint standard and they have since been taken up worldwide. Because Australian State mining regulators serve on the award-winning EL-023 committee, ElectroLink asked the chair, Tim Webster, if the Pike River Recovery Agency had sought the advice of this committee as to which standards are applicable for a safe re-entry. ElectroLink also asked if the agency had sought the committee’s advice on relevant competencies for personnel who might be employed to carry out the re-entry. Webster has passed these queries to Standards Australia for a response. Committee member, Garry House, says the committee has discussed the proposed Pike River re-entry informally and he is not aware of any approach from the Pike River Recovery Agency. The brief from a client was to colourfully light a set of exterior stairs in the city’s hospitality precinct, a very busy place on a Friday and Saturday night. In this part of the city it was possible that some pedestrians might not be fully sober. The lighting had to be safe and fun – two concepts not often found in the same sentence. The client’s brief asked for the lighting to be RGBW – that is, multi-coloured lighting with the ability for a user to control the ratio of red, green and blue light, producing light in thousands of different hues as well as white. This was intended to tie in with the lighting in the surrounding bars and restaurants and add to the Party Central atmosphere. The lighting designers were faced with a problem here. Not with RGBW itself – colour-changing light is fun to play with and most designers and installers would love to get their hands on a good creative RGBW project. The problem was practical: when different colours of light have a different lumen output, how could the designers be sure they had provided a safe level of light under every possible colour? 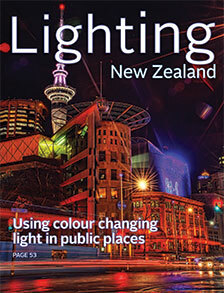 And how could they ensure people could identify different hazards and security risks under single colours of light? The lighting designer and installer are responsible for making sure lighting meets the standards for safe lighting. In the case of a public area if someone is attacked, or is injured in a fall, one of the first things investigators will look at is whether the lighting was up to standard and whether it contributed to the incident in some way. How do lighting controls improve lighting? Why should we bother with lighting controls? Most commercial and industrial lighting projects go ahead without any form of lighting control, other than a switch to turn the lights off when the last person leaves the building. There are a few common reasons people don’t want control systems for their building lighting: they add expense to the project, they add complexity, and the benefits aren’t always obvious to the people who have to work with them. Lighting controls are like an outboard motor on a dinghy – the dinghy will work just fine with oars, so why would you need an outboard? In future issues we will look at traditional control systems like DMX and DALI and explore what the future holds with the new generation of lighting controls. In this article we ask the questions: what are the benefits of using lighting controls? And how do they improve lighting?